For a "short" price list of 2010 morphs, click HERE. 10-1 ~ Keys Miami het Amel Cinder (2804) X Peppermint (2903) ~ Eggs are here! 10-2 ~ Amel Stripe (2816) X Peppermint (2903) ~ Eggs are Here! 10-3 ~ Amel het Cinder (2867) X Cinder het Amel (5381) ~ Eggs are here! 10-4 ~ Cinder het Hypo (2904) X Hypo het Lavender Cinder Motley (6505) ~ Eggs are here! 10-5 ~ Hypo het Lavender Cinder Motley (6506) X the same (6505) ~ Eggs are here! 10-6 A, B, & C ~ Amel het Cinder Motley X the same (3 pairings~ 6463-6467) ~ Eggs are here! 10-7 A, B, & C ~ Classic het Cinder Lava X the same (3 pairings)# ~ Eggs are here! 10-8 A, B, & C ~ Classics het Cinder Blood X the same (3 pairings)# ~ Eggs are here! 10-9 ~ Cinder (3029) X Sunkissed (5380) ~ Eggs are here! 10-10 ~ Cinder (3031) X Stripe#~ Eggs are here! 10-11 ~ Candy Cane (2831) X Cinder het Peppermint (2865) ~Eggs are here! Shelia X Zman this pair makes SUPER Miamis and Candy Canes! 10-12 A & B ~ Amel het Cinder Stripe X the same ~ Eggs are here! 10-13 ~ Blood Stripe (6495) X Lava Blood het Snow (6496)~ Eggs are here! *Male Lava Blood is not too interested so I will be using a Rosy Blood as a back up ~ Eggs are here! 10-14 B ~ Landrace Lava (1905) X Lava Blood het Snow (6496) ~ Eggs are here! 10-15 ~ Lavender Bloodred ph Ghost (3450) X Lava Blood het Snow (6496) ~ Eggs are here! 10-16 ~ Het Lava, Charcoal, Blood, Anery (1315) X Lava Blood het Snow (6496) ~ Eggs are here! 10-17 ~ Classic Het Ice Blood (3028)X Lava Blood het Snow (6496) ~ Eggs are here! 10-18 ~ Miami het Motley (2853-MHM) X Miami Motley (6493) ~ Breeding Now! 10-19 ~ Banded Candy Cane Motley (2906) X Miami het Candy Cane Motley (3069) ~ Eggs are here! 10-20~ Aztec Miami ph Candy Cane(2879) X Miami het Candy Cane Motley (3069) ~ Eggs are here! 10-21 ~ Miami Motley (1269-Tampa) X Miami het Candy Cane Motley (3069) ~ Eggs are here! 10-22 ~ Miami het Motley (#MM) X Miami Motley (6493) ~ Eggs are here! 10-24 ~ Fully Striped Miami Motley (2823) X Miami Motley(6493) ~ Eggs are here! 10-25 ~ Hypo Blood Stripe (6504) X Hypo Lav Blood (3179) ~ Eggs are here! 10-26 ~ Granite PH Hypo Lavender 3071 X Ghost het Lav Blood (3245) ~ Eggs are Here! 10-27 ~ Classic het Hypo Lav Blood (2890) X Hypo Lav Blood (3179) ~ Eggs are here! 10-28 ~ Classic het Hypo Lav Blood Anery (2891) X Ghost het Lav Blood (3245) ~ Eggs are here! 10-29 ~ Hypo Lav (3026) X Amber Lav (6462) ~ Eggs are here! 10-30 ~ Butter (2886) X Amber Lav (6462) ~ Eggs are here! 10-31 ~ Amber ph Lav # X Amber Lav (6462)~ Eggs are here! 10-32 ~ High Pink Bubblegum (2897) X the same (2896) ~ Eggs are here! 10-33 ~ Bloodred X Rosy Bloodred (Bayou line) ~ Eggs are here! 10-34 ~ Lavander Motley het anery poss homo anery # X Ghost Motley het Lavender # ~ Breeding Now! Mexican Black Kings $50 ~ Eggs are here! 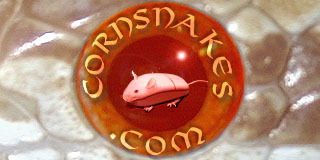 Biards Rat Snakes $35 ~ Eggs are here! White Sided Black Rat Snakes $50 ~ Eggs are here! Albino Yellow Rat /Speckled King (75%/25%) Hybrid X Yellow Rat/Speckled King (50%/50%) Hybrid 66% poss het Albino ~ Eggs are here! # = ACR number pending. I will only be keeping waiting lists for prepaid animals this year. Prepaid animals (pairs or lone males) will qualify for a 20% discount off listed prices. Orders must be a minimum of $250 before discount. I will not accept prepayment for lone females. If I do hatch extra females, they will be offered to those on the waiting list first. Waiting lists for each clutch will start when I get eggs. Refunds will be offered only in the event that I do not produce the animal you paid for. If you change your mind on what morph you want I will give you a credit towards other animals, however your “spot in line” is not transferable and you will have to pick from stock on hand. I will be making a thread in my forum for each pairing when they begin breeding. If you are interested in getting updates on certain pairings, the best thing to do is to subscribe to these threads. For those who are interested in prepayment, subscribing to these threads is a good way to find out when eggs have finally arrived. I will update threads with breeding, laying, hatching, and establishing progress as well as when hatchlings from that clutch are for sale. All pairings that have an asterisk (*) after are not eligible for prepayment. Some of my pairings will produce normals that I have not added to the pricelist. These normals will most likely go straight to wholesale unless someone inquires about them ahead time and we come to a prepayment agreement. Feel free to email me with any questions. Allow me to be the first to say... I'm excited! You've got a pretty awesome lineup for 2010! Wow that's a lot of snakes Carol! Good luck! I am quite interested, Keep us posted! If the little ones are nearly as attractive as the parents... Still hoping to get one myself. I know this an old thread, but I was curious on how you numbered each of your breeding adults? Next to each of their morph you have a bracketed number. What was your process to assigning each their own number?